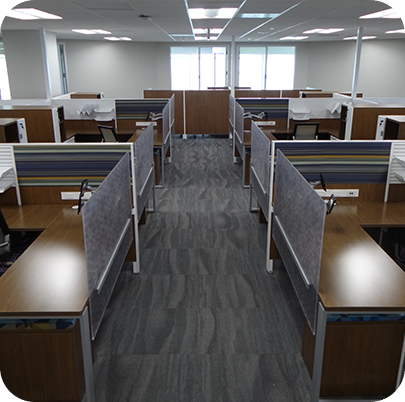 Village Green is a property management company with locations all over the country. 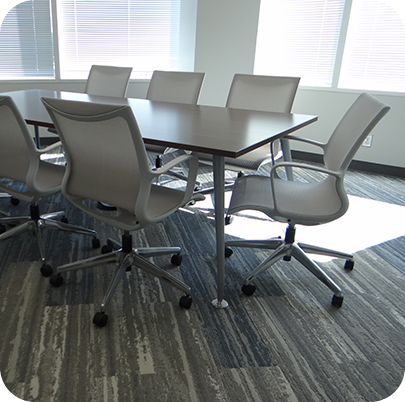 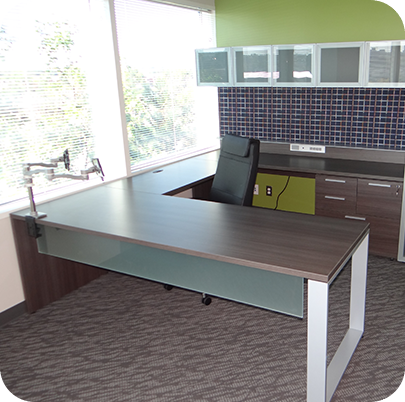 Their goal was to consolidate their Michigan regional office with the V-Suites interior design team in a new location. 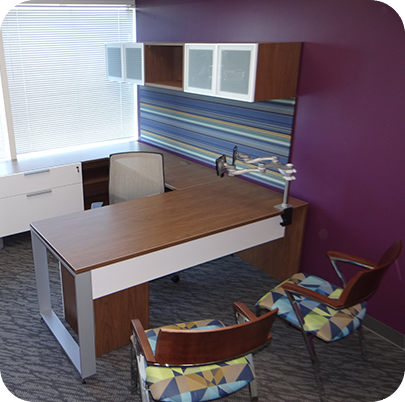 OFS worked hand in hand with lead interior designers at Village Green as well as with our staffed interior designers to create a unique colorful space with current finishes. 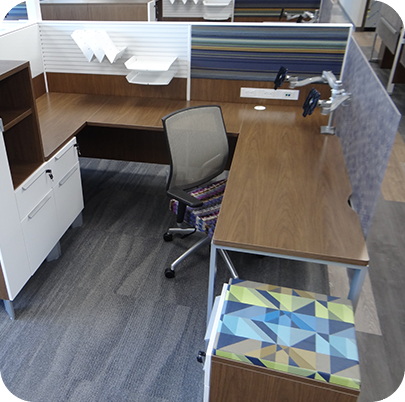 We worked with Teknion and local resources to create a custom resin screen for all workstations. 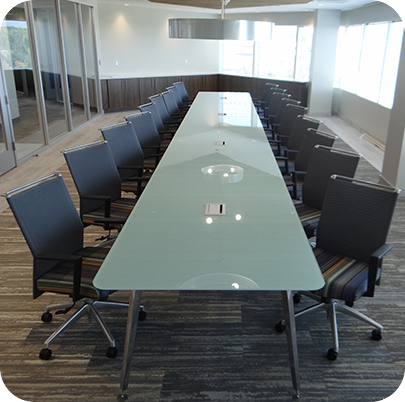 The end result is an inviting space that represents the culture of Village Green as a company.